After years of sharing a blog with our parent company, today Eerdmans Books for Young Readers gets its own blog space! Our new blog, Eerdlings, will be all EBYR, all the time. Nothing has changed in our relationship to Wm. B. Eerdmans Publishing Co.; it’s just that after living for a long time with the “strange bedfellows” feeling that comes from pairing our children’s books with our high-end academic religious titles online, we made the decision to give each side of our publishing program its own dedicated blog. You may be wondering, of course, whatever led us to combine the two in the first place! What a lot of people may not realize is that EBYR produces its 15-18 titles per year with a full time staff of just three people: art director Gayle Brown, managing editor Kathleen Merz, and editorial assistant Katherine Gibson. The rest of our marketing, sales, distribution, and business functions are carried out by the larger Eerdmans Publishing staff — and those folks split their time between working on a large (100+ titles per year) list of books for adults (mostly academic titles in the areas of biblical studies, theology, and other religion topics) and the much smaller EBYR list. So when we started our blog, back in 2011, it seemed only natural that we combine all our content into one blog, which we called EerdWord. For those of us accustomed to flitting back and forth each day day between picture books on the rollicking escapades of barnyard animals and the latest 1400-page reference book about ancient Judaism, it was par for the course. We weren’t even sure we had enough material to come up with daily or even weekly posts on our children’s books! But even as we struggled to find space for EBYR content on EerdWord, we were always reading, enjoying, and (at times) interacting with the broader kid lit blogosphere, and getting to know in the process many of the talented people who blog so passionately about children’s books (including many of our own titles!). This also coincided with the growing reputation of our books in the wider children’s literature world, which gave us more and more to say each passing year — so much more to say that EerdWord began to look as though it was busting at the seams. When we began brainstorming what a dedicated EBYR blog might look like, we were excited by the possibilities. We quickly discovered that, even considering our relatively small list, we have plenty of wonderful book-related content to share, and a lot more ideas percolating for the future. You will find lots of great stuff here on Eerdlings — author interviews, book reviews, giveaways, news, links to book trailers, and more — and we’ve also brought over our archive of material from EerdWord that you might have missed the first time around, buried as it was amongst all the posts on Bible commentaries. So we hope you will visit often, let us know what you think of what we’re doing, and tell your friends and colleagues! And if you’re still itching to know what’s new from Eerdmans in, say, philosophical theology, you will find our old friend EerdWord right where it’s always been. 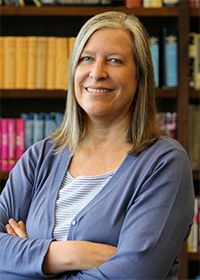 Anita Eerdmans is president and publisher of Eerdmans Books for Young Readers and its parent company, Wm. B. Eerdmans Publishing.